Linda Przybyszewski is a professor of history at the University of Notre Dame as well as an author and an award-winning seamstress. In her book The Lost Art of Dress: The Women Who Once Made America Stylish (Basic Books, 2014) she discusses what she calls the Dress Doctors, women in the first half of the twentieth century who taught young girls and women how to dress well. In Home Economics classes and women’s clubs, in magazines and on the radio, the Dress Doctors, armed with basic fashion knowledge and some serious sewing skills, imparted their wisdom on what was appropriate attire for home, school, work, daytime and evening. Ms. Przybyszewski became interested in these remarkable women when she stumbled upon a 1950s Home Economics textbook in a used bookstore. Clothes for You taught that beauty in dress is achieved by applying the five principles of art to clothing. In other words, when creating an outfit one should keep in mind – harmony, rhythm, balance, proportion, and emphasis. Ms. Przybyszewski writes: The art principles capture truths sensed even by people who have never heard of them … For any woman who has realized that a certain outfit looks terrific, the principles will tell her why it does. Intrigued, Ms. Przybyszewski went on to search for other books on the subject and discovered a whole movement in dressing well headed by the Dress Doctors – accomplished women who were teachers, authors, and saleswomen – and supported by the USDA and the WPA. Young girls and women in cities or working the farm were taught how to sew as well how to be thrifty about fashion (farm women learned how to make dresses from feed bags, which came in surprisingly attractive fabrics). Following the guidance of the Dress Doctors everyone could and did look their very best. Dense with information yet accessible, The Lost Art of Dress takes readers on the most interesting of adventures describing the rise of the Dress Doctors at the turn of the twentieth century and their eventual decline in the 1960s (due to casual-wear in the suburbs, the youth craze, and designers’ simplification of their fashions). In addition to discussing the women themselves, Ms. Przybyszewski goes into great detail about what they taught including a description of the five art principles and appropriate dress for occasions. A nice addition to the text are quite a lot of illustrations, a rarity in books these days. The Lost Art of Dress is a useful history of 20th century American fashion, making it required reading for all fashion design students. 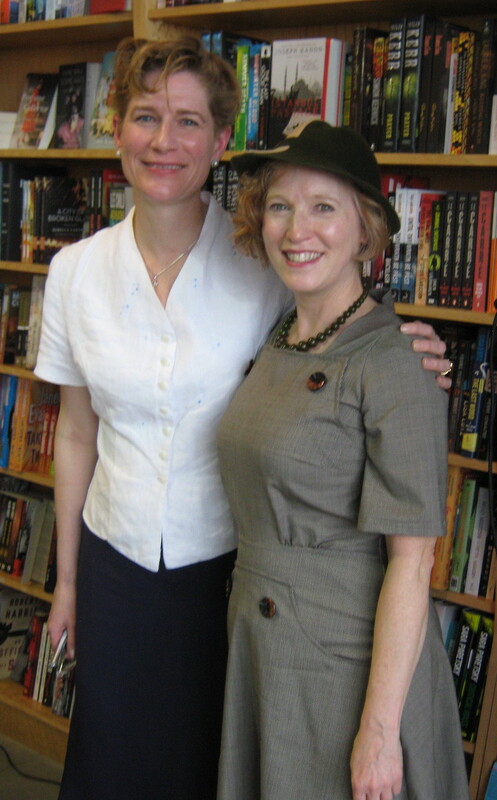 It was a pleasure to meet Linda Przybyszewski at Book Passage in SF. I wonder what the Dress Docs would think of my outfit. I really enjoyed The Lost Art of Dress and I recommend it to anyone interested in fashion history, vintage fashions, and women’s history. Although one may not subscribe to everything the Dress Doctors had to say, there is still much to learn from them and apply to our modern fashion sense. What these women were doing and how they influenced society is quite impressive and worth knowing. Sofia Hedström with Vivienne Westwood, who wrote the forward to Fashion Manifesto. The entire 21st century has been, so far, characterized by trend hysteria, and throwaway chain store fashion has us consuming clothing just as we gorge ourselves on fast food. Week after week, we are driven on by an insatiable hunger to stuff our already bulging closets with the latest fashions, and with each and every trendy addiction – which consequently hangs there sullenly with the price tag still intact – a glimpse of clothing common sense vanishes. The dime-a-dozen ‘I want it yesterday’ fashion industry has caused us stress and depleted our souls, with the outcome that many of us have simply lost our individual sense of style. – Sofia Hedström fashion journalist. This quote is the opening paragraph from the introduction to her book Fashion Manifesto: The Guide for the Style Savvy (Skyhorse Publishing, 2013). After a full career as a fashion journalist both in her native Sweden and in New York City, Ms. Hedström found herself a bit sickened from fashion overindulgence prompted by the industry. So, she went on a year-long shopping fast and wrote a book describing the experience. Giving fur back to the animals. This makes me smile. Born Free USA is delighted to report that the Fur for the Animals Coat Drive has been a big success. The drive has brought in close to 30 pieces of fur, all of which are now being put to good use. As we see in this photo from The Wildlife Rescue Center in Missouri. 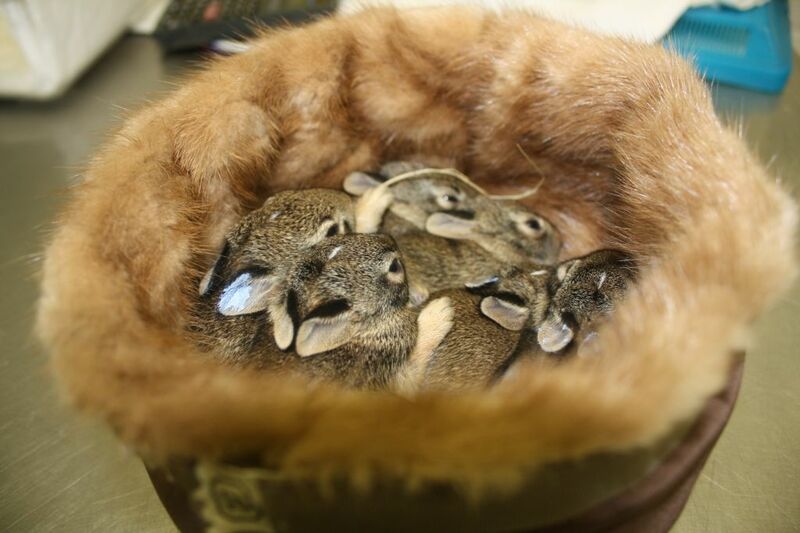 Word has it that these orphaned baby cottontails haven’t budged from their fur nest. It’s not too late – the Born Free USA Washington DC office is still collecting through June 30th. Mail or deliver to: Born Free USA, 2300 Wisconsin Ave NW, Washington, DC 20007. I chose the bow ties because I couldn’t find anything that I liked and I just wanted to look good and feel good … so I asked my grandma if she’d teach me to sew and then I just started wearing them. 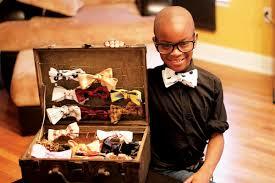 – Moziah Bridges (12-years-old) – designer and CEO of Mo’s Bows. As amusing as slang fashion is, it is not a complete language. I think women should dress as they talk: a basis of grammar, lightened here and there with a sprinkling of argot. – Main Rousseau Bocher, American couturier from 1929 to 1971, as quoted in The Lost Art of Dress: The Women Who Once Made America Stylish by Linda Przybyszewski. Mr. Bocher was speaking about the youthful and less sophisticated fashions in the 1960s. Ms. Przybszewski will be reading from her book this evening, Thursday, May 15th at 6pm. Book Passage, 1 Ferry Building, SF. 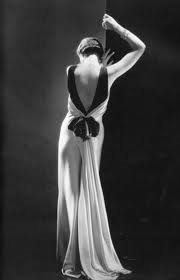 The shape of a garment expresses harmony by following the lines of a living, moving human body. The lines of the body are naturally beautiful and its movement naturally graceful, so any clothing that impedes that movement is, by definition, ugly. From The Lost Art of Dress: The Women Who Once Made America Stylish, by Linda Przybyszewski. Check in tomorrow for Quote of the Week #4. – Edna Woolman Chase, editor-in-chief of Vogue magazine, 1914-1952, as quoted in The Lost Art of Dress: The Women Who Once Made America Stylish. Check in again tomorrow for another fashionable quote.